When Max Domi was traded recently to the Montreal Canadiens it created an opening on the wing. Who can fill that void? Ok, Max Domi is gone. Now he must be replaced on the left wing, and there are some soon-to-be free agents who can fill that gap. 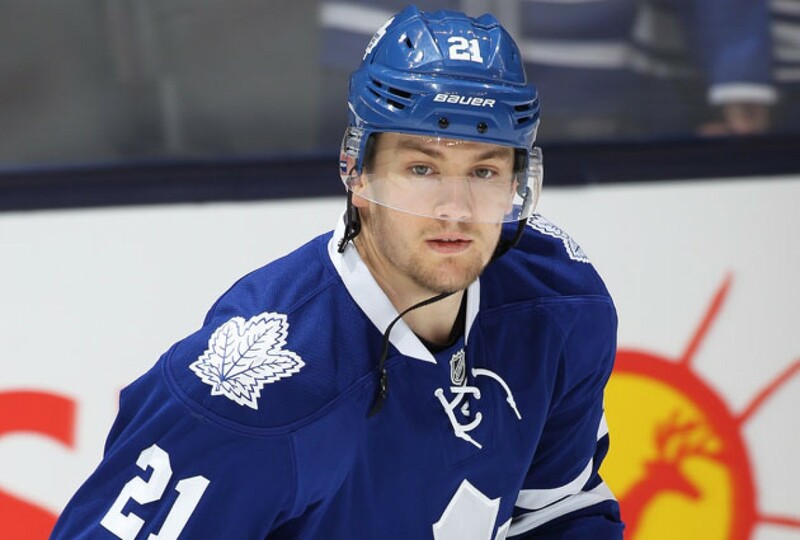 One which could be on President of Hockey Operations/GM John Chayka's wishlist would be an awesome scoring winger like James van Riemsdyk. His 65 goals, 116 points over the last two season certainly would solve some of the Arizona Coyotes' scoring woes. They finished 30th in goals scored last season and that must improve if they intend on making the playoffs for the first time since 2011/12. JVR may be just what they need. His offense can also ignite and spread to his teammates causing even more scoring. Of course, JVR has a salary cap hit of $4.25 million... even higher since he'll want a deserved increase after such success of late and that may be out of the Coyotes' strict budget. Chayka has stated to AZsports.com Craig Morgan, "We're having some discussions in this free agency period. Some of them are some of the top guys that command big dollars. If there's a fit there that we can work, we're trying to make that work. We have some space right now, some flexibility. It doesn't have to be dollar for dollar. We're working on some things. They're not $20 million things, but there is some space there to make some moves." Not if JVR demands $6-plus million. The team's intention is to stay close to the salary cap basement. A more affordable option on the Coyotes' limited budget may be Thomas Vanek. He split last season with the Vancouver Canucks and Columbus Blue Jackets managing to play in 80 games collecting 24 goals, 32 assists. A key veteran on the young Coyotes' forward line is just what they need to give tutelages to the less NHL experienced players. At 34, he can still play, and... he's affordable. His $2.5 million salary cap hit may need a slight adjustment upward, but for any forward to score over 50 points while lighting the lamp 24 times it is worth the investment. He may not get more than another two-year contract but he would probably be good with that. This, considering the Coyotes tight budget, may be a better option than JVR. Even though Jason Zucker received a qualifying offer from the Minnesota Wild that just means they hold his rights and they may decide he will want too much money with his recent success to afford him. He is a restricted free agent who signed a two-year $4 million contract with the Minnesota club in June of 2016. With 55 goals, 56 assists over the last two seasons he will demand a decent raise. With fellow RFA Matt Dumba also receiving a qualifying offer, it is unlikely that the Wild will keep both players. They must think ahead to next season when star scorer Eric Staal ($3.5M) and Tyler Ennis ($4.6M) will have contracts due. The team only has $10.5 million of salary cap space this season. As mentioned in a previous article another good forward choice from the free agent market would be David Perron. James Neal may be out of the Coyotes' restrictive budget ($6-$7M), but Perron might fit in well. Perron can play either wing and has a cap hit of $3.75 million, with an expected pay raise to factor in if the Coyotes are thinking of him. He collected 18 goals with 50 assists and that production is needed to infuse some firepower into the lineup. Without knowing the limits of Chayka's salary checkbook it's difficult to determine if Perron's salary demands will be able to be met by Arizona. It wouldn't be much of a change for Perron, moving from one desert city to another. The Coyotes do have a very up-and-coming winger by the name of Nick Merkley who played very well in their AHL affiliate in Tucson. He tallied 39 points in 38 games but has been injured twice in his young career to slow down his development. Lawson Crouse figures to be in the mix playing for the NHL team next season and he may fit in somewhere on the third or fourth line. With Freddie Hamilton not receiving a qualifying offer from the team that leaves a spot open on the fourth line consisting of Nick Cousins and newly acquired Markus Kruger. The Arizona Coyotes have their defense and goaltending set for next season. All they need now is to get their offense going, and with the acquisition of Alex Galchenyuk, they hope to fare much better next season. They did finish strongly from February on earlier this year, and if they can add a veteran winger to the mix they should improve. Unfortunately, this writer must disagree with the lack of spending this hockey club is displaying. Chayka stated, "to date, there haven't been a lot of things that internally we wanted to do and were incapable of doing. To take this next step, we're going to need to continue to fund and invest, but we've got to grow revenues and a big part of growing revenues is winning hockey games. That's my focus." See John, that's where I find a flaw in your statement. You're NOT winning hockey games! You don't have any really good hockey players... except maybe Oliver Ekman-Larsson (you must think he's good to pay him $8.25M for eight years) or Clayton Keller. Last time I checked teams who are successful must pay the players to get the results you're speaking about. Granted OEL is getting big bucks, and you have a young team and that has been an excuse that most loyal fans are getting tired of hearing. If Andrew Barroway comes out again to the team town hall and boasts about how great a team he is putting out on the ice... I for one will not buy it, and neither should you. It's fine that he owns an NHL franchise, but let's see if he can actually get a team who wins. And fans won't buy it (tickets that is)... UNLESS you put a better product out on the ice and guess what? It costs money. So, get some additional investors, build an arena (whatever happened to that idea?) but you can't fill it with a mediocre team. Who should the Arizona Coyotes go after as a veteran winger? Will the team ever realize that they must spend money to get good players and be successful? Let us know in the comments section below.